At first glance, a credit card and debit card appear almost identical. They’re the same shape & size; they both have a 16 digit card number, and a signature. However, their uses can differ substantially. Let’s take a closer look at both types of cards. 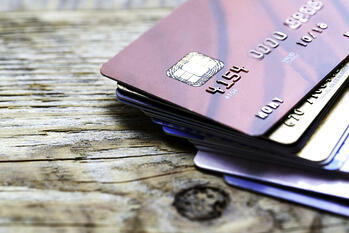 Debit cards are associated with your checking account. Every purchase you make using a debit card is with money that you already have. After the transaction takes place, a hold is placed on the money amount and is then transferred to the merchants account. You can also use ATM machines to access your cash using your debit card.There are usually few or no fees connected to this type of card. Credit cards help you build credit. This is reflected on your credit score, which shows how reliable of a borrower you are. With credit cards, you are borrowing money to make purchases. You then pay back this balance with interest. These cards feature a set spending limit that is determined by the credit card company and is based on your income and credit score. Credit limits can change depending on your circumstances. If you prove yourself to be a reliable borrower and your income increases, your limit may rise. If you make late payments or don’t pay at all, your limit could decrease. One advantage that credit cards have is rewards programs. This means purchases that you make using your card can be turned into travel points, cash back, and more. Depending on the type of card, you may have to pay a yearly fee. Cyprus Credit Union is proud to carry Visa credit and debit cards. Our debit cards are free, funds are immediately deducted, and come with overdraft protection. We offer several variations of Visa credit cards, including Visa Platinum Awards, Visa Platinum, Visa Platinum Starter, Teen Visa, and Shares Secured Visa. All cards come with verified by Visa fraud protection and 24-hour online account access. If you are interested in applying for a credit card, stop by any of our branch locations or fill out an application on our website.